If you want to build a successful blog you might just need to hire a freelancer. In fact, if you look at almost any blog or website that is making six-figures or more they all have one thing in common: a team of awesome people helping them out. Hiring a full time staff member, however, can be a bit daunting and, as such, many people opt for freelancers to help outsource tasks like editing, writing, maintenance, and more. This is the first stage where you narrow down exactly what tasks you want to outsource and why they are important. We’ll look at where you can find them and some tips on choosing the best person for the job. We’ll learn how to create the first freelance task and then some strategies to make sure you both get the most out of it. Oh, and if you’re looking to do freelance work then you might want to check out this guide to paid content writing and this article on making money online when you blog is brand new. 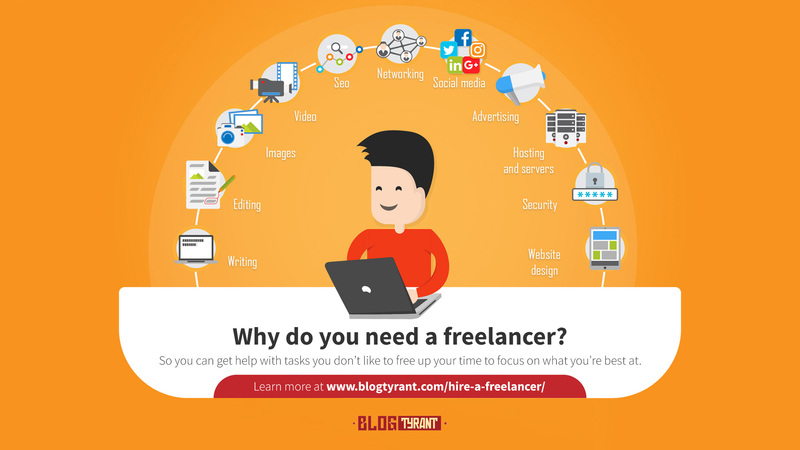 Why do you need to hire a freelancer? So let’s start by taking a look at why you might want need to hire a freelancer to help grow your blog and take it to the next, professional level. As a blogger there are so many tasks that we need to do each day. As you can see in the graphic above, on any given day you might do some SEO work, writing, editing, graphic design, website design, networking advertising, etc. It is honestly more than one person can (or should!) be doing and it’s important to recognize our limitations in this area. One of the keys to a successful blogging is freeing yourself up to focus on the tasks that you’re best at, or that tasks that make the most impact on your blog. For example, if you’re an excellent writer and that is what grows your blog the most, then why not pay someone to do your book work and give you back those 2-3 hours a week? Outsourcing in this way frees up time but it also reduces a huge amount of stress because you’re not learning dozens of different things that you never wanted to learn, and instead you get to focus on your passions and the results that they bring. As a side note, a lot of people are now relying on freelance work as the economy changes, and I think it’s wonderful that the Internet allows us to exchange services with incredible people that we might otherwise have never encountered. If you have decided that you’d like some help, the first thing that you’ll be hit with is the overwhelming variety of options and how difficult it can be to find someone trustworthy with the right skills and work ethic. Let’s go through it all, step by step, and in the end you’ll hopefully have a good starting place. The first step is to think about exactly what you need some help with. This is vital because a lot of failed freelance relationships happen when the employer is too vague with what they actually want from the new team member. This stage can actually take a little more time than you might think and it’s worth sitting down with a pen and paper and really mapping out where you need the help, and where the limits to those tasks are. Who decides on the keywords, titles, and paragraph titles? Do they do a draft first or just write the whole piece? What happens if they take way longer to complete it than expected? Do they write it straight in WordPress or just on a Google Doc file? Who should research/choose images and photos? How do you ensure the content is all original? Do you pay on a per word, per article, or per hour basis? All of these types of issues can have a big impact on the type of tasks that you get help with, and can really impact on the way you structure the setup and relationship over time. Something I’ve found really useful to help overcome some of these issues is to create a document that outlines the process and the tasks involved and then laying it all out for a “test job” that you give the freelancer. We’ll discuss this in detail at a later stage. It’s important to have a clear vision about your blog’s long term goals. If you aren’t sure what you are trying to achieve within 6-12 months then you run the risk of creating stuff with a freelancer that never gets used. Check out our suggestions about developing a strategy for your blog to give you a start point on what to consider when making a plan. At this point you really just want to try and come up with a list of tasks that you need help with, or tasks that you really don’t want to do anymore due to a lack of experience or confidence. This will give a good framework for the next steps. Budget is a really important factor to consider here because many services will be unobtainable due to the cost factor. For example, hiring an agency to manage your SEO properly could cost $10,000+ a year. But it’s also a trap to think that you shouldn’t hire someone because you don’t think you can afford it. A lot of small business owners fall into this mindset and end up burning themselves out because they think they have to do everything themselves. We need to strike a balance between affordability/realism and our goals for expansion. This also entails an element of risk (all business does) because you need to weigh up how much you want to back yourself and your blog as a profit-making entity that will incur costs in the process. What is your blog’s current profit? You need to have an idea of how much profit you are making, and then take a detailed look at whether you can increase your expenses for a time in order to bring about future growth. Do you need to pay superannuation, insurance, etc.? Take a look at your local laws and determine whether or not you are required to pay anything other than an hourly rate for freelancers that you hire on the Internet. Every where is slightly different in this regard. Spend a bit of time looking at how much people normally charge for certain tasks. This will help you decide whether you want to hire a SEO agency (expensive) or someone to do occasional graphics (slightly less expensive). At this point you want to sit down and try and figure out how much you want to spend over a fixed period, and then break that period down into tasks and figure out how much each of those is going to cost. You can also do this based on certain goals that you have for your blog. For example, if you want someone to write 100 x 2,000-word articles and they charge $100 per article then that is going to cost you $10,000. You might decide that this is too much and so you can reduce the number of articles that you want to produce, or sacrifice quality and find a cheaper writer. By mapping out the whole budget process like this you can get a good picture about what is affordable. The best thing you can do at this stage is go and talk to your accountant and, if you don’t have one, take the plunge and get one. A good accountant doesn’t just do your taxes, they also help you plan your future financial moves. For example, in this case the can help you determine how much you can afford to risk on a freelancer, how long you can hire them, and what sort of financial reward it might lead to. The first thing we want to do is create a small test task that can help us find out how the whole process works. This is a really valuable step because it allows you to refine your goals for the freelancer as well as helps you to learn any issues that might arise on a smaller level as opposed to finding them out after you’ve committed a lot of time or money to the project. So what should be included in such a task? Summarize the whole project that you are carrying out, of which their freelance task might make up one small component. Describe in detail what you’d like them to do and include examples and screenshots or videos to explain it if possible. Describe the budget that you have for their task in particular and how you intend to pay them. Have a few options for the due date and encourage rewards for faster/on-time completion. Describe how you’d like the task delivered. For example, should they create it in a WordPress format and then upload it to Google Docs, or will you give them a login? How can they ask you questions and what times are you available for Skype or email conversations? Now, many of the websites that allow you to hire freelancers will have all of this sorted out for you and you’ll just be required to fill in a bunch of different fields. But it’s a good idea to think about it beforehand so as to get it refined. On a Mac you can do that by taking a screenshot by clicking COMMAND SHIFT 4 and then opening up the graphic in Preview and using the markup tool (the green arrows!). As a side note, I clicked the image instead of the actual tool about three times when making this screenshot! So meta. On a PC you can use the Snipping Tool and then edit the image in an editor like Photoshop. Alternatively, you can get a browser extension like Awesome Screenshots that will do it all in one go plus much more. This one also allows you to take scrolling videos of your screen and blur and mark them up, which can be very handy if you want to explain a portion of your screen without revealing everything due to privacy or some other reason. As you can see, the goal here is to create a job that is clearly explained and defined both in written text and with images so as to ensure that the freelancer you hire has all the information she or he needs. This is the stage where we actually go out into the web and look for the right freelancer for the task that we have created. There are lots of ways to do this, so let’s take a look at the best options. While not always fair on the freelancers, the bidding process means you get to list a job and then choose the “best” freelancer for the task out of several thousand options. Quite often you pay your funds in advance to the site but the worker doesn’t get them until you’ve chosen to release them by stating that the job is complete. If a dispute arises, many of these sites will mediate the issue to try and get a good outcome for both parties. This is especially useful when a large project has been partially completed. By dealing with someone exclusively within one platform you’re often protected by their own in-built security mechanisms and so forth and you’re never swapping financial details, etc. 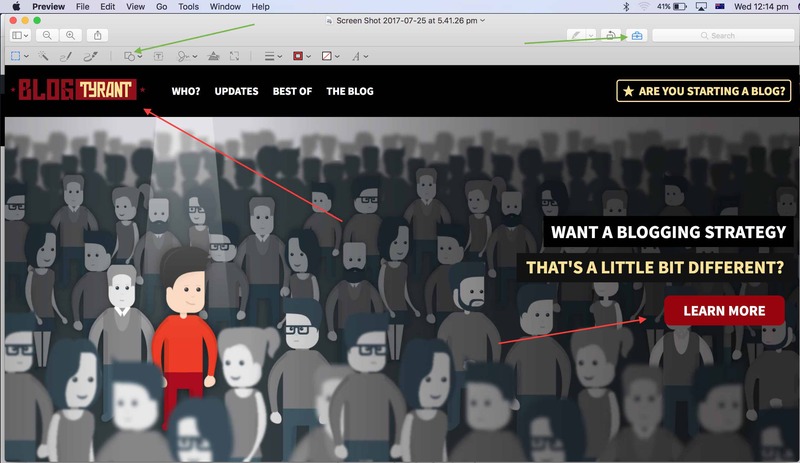 If you go back an look at our guide on how to find images for your blog you’ll see that we’ve used 99Designs to come up with a lot of our Blog Tyrant graphics and designs. The process literally takes two or three minutes with their super-clean interface. You can start a contest where freelancers bid on a new job, or you can invite a specific worker to the task and request a quote. I really enjoy this process and am yet to be disappointed by the quality of work that is available. So, what should you look for when trying to hire the right freelancer? How much experience do they have in their field and can you verify this with reviews and testimonials and so on? Make sure you check out the sample work to ensure the reviews are real. Do the skills closely match the task that you are getting them to carry out? For example, someone who can make a logo might not be able to make an illustration even though they’re both graphics. Communication is really important and sometimes it can be a little hard if you are from different countries and speak different languages. Make sure you have a conversation or two so as to ensure you can get on the same page. To give you an example, we can head over to this audio technician on Fiverr who is an excellent example of someone who ticks all the right boxes. As you can see, he has a 5-star rating which is made up of over 2,000 reviews from happy customers. This is very difficult to fake, and given that he has a “top rated seller” badge from Fiverr it’s likely that he is pretty safe. The last stage is to figure out how you will communicate and how you will review each others progress. Of course, if you’re using a site like 99Designs then most of it will happen on-site. 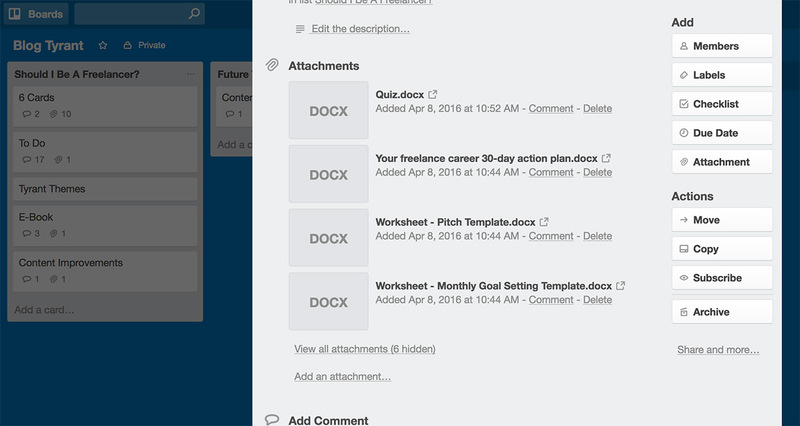 For external projects and freelancing staff, I like to use a site like Trello that allows you to manage projects and communicate with staff and colleagues in a very methodical and clear way. This is a screenshot of one of my Trello boards – I have different ones for different companies and projects, and within each project we break them down in to things like General Chat, Future Topics, etc. It’s a really great way to share files and manage it all as it doesn’t all get lost in your email inbox such that you end up digging around for files or threads or messages for hours a week. This approach really saves time but also keeps a record of the whole process which can be valuable if anything ever needs to be reviewed, or you want to look back and figure out how to replicate a successful freelancing project. Try to be as patient and empathetic as possible when you are working with a new freelancer. Often we know our own blogs so well that we forget that simple tasks might actually require a lot of training and explanation for someone else. Try to find someone you communicate well with, even if they’re not technically perfect. Have you ever hired a freelancer? If you’ve ever worked with a freelancer on your blog I’d love to hear about it. What worked well and where did you find them? Is there anything you would do differently in the future? Please leave a comment below and let us know as it might really help someone who is just starting out. I know so many things get involved when we have the serious blogging going on. And being just a person behind the blog, it is so hard to do everything by self. I am still not on the edge of hiring a freelancer, but I have some good blogging friends who do so regularly. And voila! Their blogs are working great! This is the good quick guide to really refer to before going to hire the freelancer. Thank you for writing this up for us! I’m mainly blogging for passion and having the full-time job along with it. So, time is the constraint that’s holding me back. Hey, another great post. Freelancers are vital to our online businesses. We just can’t do it all by ourselves, by Jove, we’ll burn out. Getting a great freelancer is much a hustle. You not only need an expert in a certain skill, but also a professional communicator who takes their work seriously. I agree! Have you hired one? I love your idea of hiring someone to do the some of the jobs for you but considering the fact that most of us new bloggers hardly have that budget. And to get the best work, you need a good freelancer. Tasks like social media management, image or logo design etc are ones that new bloggers can get. The thing is, they really don’t help your blog grow. If you can get a marketer or a writer or someone to help with SEO then you can pretty much get something good as far as you can budget good money for it. But whenever I look at the challenges new bloggers face, we can get a return on investment when we get the minor things done because they get done fast and quickly. For example I spent about 2 hours scooping out faulty links of authoritative blogs last week and found out I only got for 8 blogs. But then I spared out a couple of dollars and got a freelancer do it for me. The results? 50 blogs with at least 2 faulty links each done in 24 hours for $27! 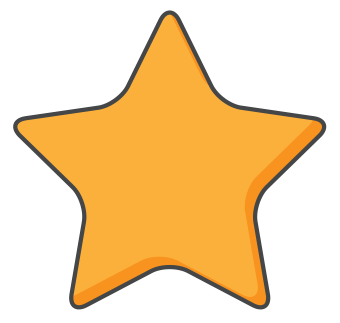 That time I was supposed to use scooping faulty links, I wrote a new post (for a guest blog). So getting petty things done can give bloggers more time to do more important things. Thanks for the post, Ramsay! Thanks for the example, I never thought of doing that. You’re welcome, Alvin. Glad it helped. That is exactly it! Love it! Hours of your life back! Great article as usual Ramsay! Really relevant to me at the moment. You mention that hiring an agency to manage SEO properly could cost $10,000+ a year. Apologies for the possibly uneducated question, but I had assumed that when a site is properly ‘optimised’ there wasn’t much more SEO work to be done. What types of maintenance to search engine optimising needs to be done on an ongoing basis to reach those sorts of figures? It’s a contentious issue and everyone will have a different idea about what it’s worth and how much they should charge and what they should actually do. One example might be that you have an agency manage your whole SEO presence – content writing, outreach, social media, etc. So that can be time consuming. Another example might be that you hire someone to help you rank for a certain competitive keyword and you can up/down the budget depending on how badly you want to rank. So, for example, you might have $10k per month on SEO and as part of that they might engage a publicist to get you on mainstream news, which might cost $4k. Then for bigger sites there’s things like managing speed, disavowing bad links that you get (competitors have weaponized links now…), etc. Is that close to what you mean? Yes, totally what I was after. Very helpful! Thanks for taking the time to reply! One thing to be careful about when it comes to sites like upwork and fiverr is not to always go for the cheapest option! In the long term it is better to develop a good and strong long term relationship with someone who knows what they are doing (#me) instead of someone who works more through guess work. 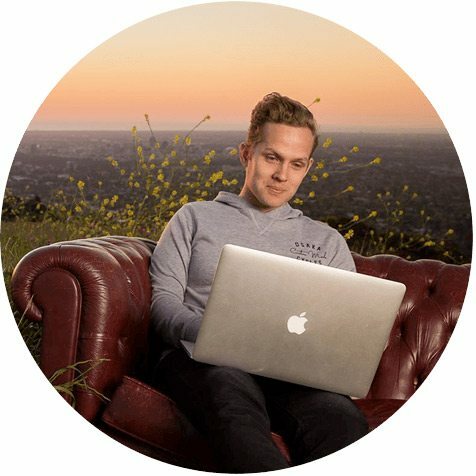 You should also have a freelancer to manage your backups and security on your site because that is a major problem that I know many people have – they just don’t watch out for those sort of problems and when something goes wrong it goes horribly wrong!! That is a great point about the security. I have always thought of hiring someone but due to finances, I’ve never hired someone. After reading your post, I think it is time for me to free up my time so that I can do what I’m best at? Thanks for a timely post because I got the motivation I needed to start getting help. I totally agree that one of the keys to successful blogging is freeing oneself to focus and concentrate on the tasks that one’s best at, or that tasks that make the most impact on one’s blog. As a blogger, there’s always that temptation to be a jack of all trades – Undertake (as you say) SEO work, writing, editing, graphic design, website design, networking, advertising, etc. This is particularly true when one is just starting out. Unfortunately, that’s a recipe for mediocrity, because it’s impossible to be a master of all! The great thing about hiring freelancers is that there are options for different price brackets. So nobody need lose out just because money is tight! I use freelancers all the time. I do this on adhoc basis because that works best for me. My favorite go to places are 99Designs and Fiverr which you mentioned! At other times, I have paid my teenage daughter to do some graphic design for me using Canva, because she’s really good at that. Off to tweet about it. That’s awesome! I hope you pay her good rates! Yet my own experience hiring freelancers could be described as mixed at best. Possibly (probably) I’m the problem? Initially I wasn’t good at being CRYSTAL clear about what I wanted. But I’ve gotten better over the years and now feel that the quality of people out there is mixed at best, and identifying who the “meh” providers are isn’t always so easy. I’ve been burned enough to be come gunshy about a lot of outsourcing which unfortunately locks me into being the bottleneck as I try to do everything. It’s a conundrum. What are some of the negative experiences you’ve had? Each freelancer represents time invested in finding somebody, checking that they’re good, establishing a relationship, coordinating terms, project scope, etc. Have enough poor experiences (which eats up time and money) and you start questioning if the DIY approach isn’t just more effective. Wow, that is pretty brutal. Can I ask what went wrong on the https project? We’re making plans for that currently so I’m quite curious. I think whatever is our blogging plan, many of us hire freelancers for writing content, designing logo, speed optimisation etc. Off course, if someone is having huge blogging plan or set up a big website then it is always recommended to hire some professional who can put their experience and bring the max out of the start up. Many thanks for another master piece. Blogging is a lot of tasks at some point. So bloggers should delegate some tasks to freelancer. It’s a good guide for them who want to delegate blogging tasks to freelancer. Thanks for sharing, Ramsay. Hi Ramsey, I have for someone to do the very technical things for me. I recently moved my server to a cloud server and it involved a lot of tech stuff that would have taken me hours and this person did in minutes. He also did my redesign and keeps up with the changes on SEO and such. I could not do it without him today. I am in the process of figuring my next move with another freelancer. I need some to publicize my new eBook. We are meeting in a few weeks so this post is very timely and valuable for me. Thank you Ramsey! Amazing! That’s what we like to hear! extra time and get our other works done with a easy way. Good for you Ramsay, with this post coming up for a “blogging” Google Alert 😉 I get daily emails and here you are. Awesome. I’ve not hired a freelancer but can see how it works from the other side of the fence. When clients are beyond clear with me, in what they want, I can identify a match or let go non matches instantly. All about that clarity. Hey man. I was wondering about that – saw a bit of traffic from a Google News thing. Wonder how that happened? Currently, I work as a WordPress freelancer and am trying to move away from that. My goal is to build my blog into a full-time business so I don’t have to work as a freelancer anymore. I have hired a freelancer since starting my blog. I actually outsourced the task of switching from HTTP to HTTPS. Sure I could’ve done it myself. But I figured there were a lot more important things to do than sitting there and try to figure it out myself. I didn’t use the free Let’s Encrypt, I’ve switched those for clients. Instead I bought an actual certificate and had it installed. I’ve never done that before. So instead of me spending hours trying to figure it out, I outsourced it. It got done in less time that it would’ve taken me to do it. Plus it was nice not to have to worry about that task so I could focus on more important things. I think outsourcing is good. However, most of us who just start a blog can’t really afford to outsource a ton of things. At least I know I am not at that point yet. Thanks for sharing these tips, I’ll be sure to keep them handy for when I do start outsourcing. How did the process of moving to https go for you? It went good, I would definitely outsource something like that again. This is great article. Some days i am searching high DA, PA fashion, clothing blogs. I tried some freelancer sites but they have maximum 30 to 40 DA and PA. If i submit a blog posts on this authority blogs its good? I don’t really buy links so not sure. Excellent article. I’m a complete convert to outsourcing after previous businesses where I’ve tried to do it all have ended in burnout. Outsourcing the right tasks to the right person is paramount to success. I’m a freelancer who helps entrepreneurs with various tasks that help improve their online presence through social media and associated tasks. Many of those tasks are blog related. I love working with and watching those businesses grow. And yes, when I need to- I outsource. I’m just starting out as a Virtual Assistant and assisting bloggers is one area I’m looking to get into. I’m an English graduate so writing and proofreading are my thing. I’m now on Upwork but not had any success with bidding for work yet though. What strikes me though is that often describing your brief on these sites can be time consuming so you may feel like you may as well do the job yourself. I’m wondering how others have sped up this process? Do you just Skype, or dicate instructions for instance? That’s a good point and you are right, I often do it myself. But for bigger projects I always use someone else, or where I don’t have the experience (like servers). Do you have success getting clients on places other than Upwork? I’m very new at this so haven’t had any success as yet but would have to say that some Facebook groups for entrepreneurs seem promising as I have recently connected with a couple of people who I may be able to help, fingers crossed! Also I’d say Linkedin is the obvious, usual and most promising place for getting clients but I am sure there are dark pools that I’m not aware of yet that hold the clients I seek, ha! Seriously, I have never hired a freelancer. I cooperate with freelancers. They are mostly copywriters and graphic designers. It is a very good cooperation. I have only one concerns related to copywriters quality from the group 15th copywriters only 1-2 are on expected quality level. The selection is difficult and time consuming. Thank you for sharing amazing content. Everyone should know how to hire and maintain a freelancer. till now I have not hired anyone for my blog…..the day I will start making profit I will divide my work and hire a freelancer..yes we should focus on skills in which we are expert…one cannot do all the task we need someone’s help to have big profit in future…!! one more awesome post..thanks for sharing!! Let me be honest here as well, I haven’t ever engaged in the services of a freelancer before. I self-learned everything from designing logos to any that has to do with blogs. But after carefully reading this post of yours, I do think I need to soften my stand in order to save some time. Doing everything by yourself can really be hectic sometimes. Thanks or the valuable information. We hired a freelancer for the backend of our site, when something was too technical for us. From my experience he was great and easy to work with, you don’t have to go through a whole company to get a simple plugin added! Its always great to have some hours more freetime, but i would only hire a freelancer if a task is to complicated and i also like to learn new things. But if a Blogger has some good income, then hiring someone is a good idea to have some more time for family and friends. 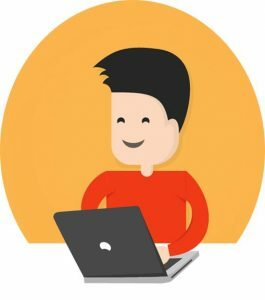 thanks for this article , how to get get freelance for effective blogging ? you can get all freelancer on on line format , i know about it , but on Facebook format some people made freelancer groups for who don’t have any job . you can get these freelance in these groups. It’s really about balancing my time and budget. Trying to do everything myself just eats away at time I could be using for other aspects of site management and growth. Thanks for the article, Ramsay. A while ago I started a surprisingly successful blog for my few posts, thanks in part to much of your content. I had to stop blogging due to life circumstances, but I am excited to start again soon. The only thing that does not excite me — the look and feel of my website. I struggled for hours and hours over what my blog should look like and learning the platform for the site. I absolutely do not like that aspect of having a blog, and it discouraged me from writing. After reading this blog, I realized that my husband is a software developer who enjoys this stuff so much. He has had numerous compliments on the styling of his own blog. Thanks for helping me realize I could just ask him to do the styling for me, so I can focus on and enjoy my writing! Why had I not thought of that before. He is happy to, and I am much more excited to get back into things!